Sentiment analysis reveals the "Champion of Champions" of SXSW. We have reviewed every SXSW twitter post from 2009, 2010 and 2011 to identify the show’s biggest influencers. 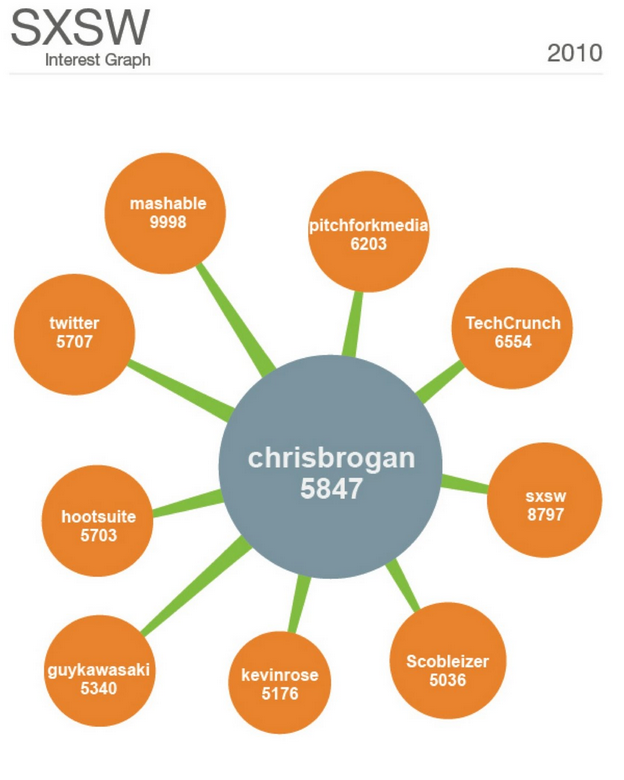 This year, as in past years, Chris Brogan (@chrisbrogan) is the champion of champions for SXSW. For three years running, he’s been the top influencer on PeopleBrowsr’s SXSW Interest Graph. The king of connectedness has the most friends on Twitter discussing SXSW — a reigning title that resonates with his social media identity. 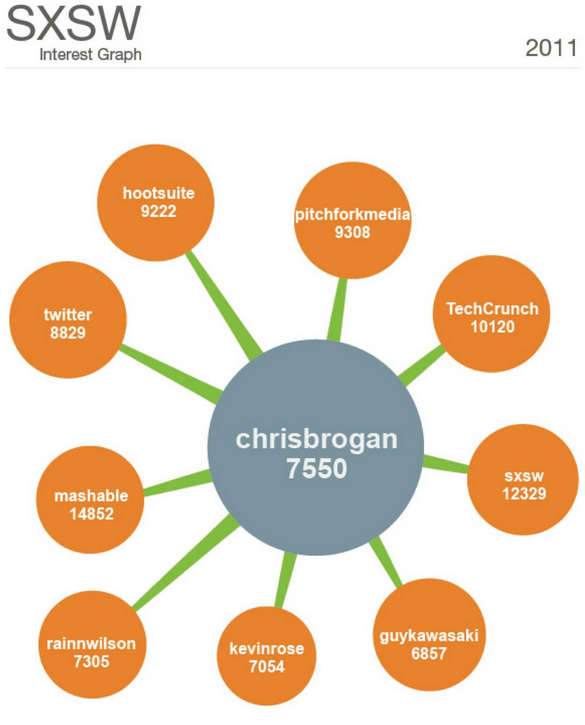 Chris has the highest number of followers who are interested in SXSW. His followers are having conversations about SXSW and often tweet SXSW mentions and news. Chris is an influencer for SXSW because he has a high number of engaged connections who are interested in this topic. He is a brand champion for SXSW because of his potential influence in the SXSW interest-based community. 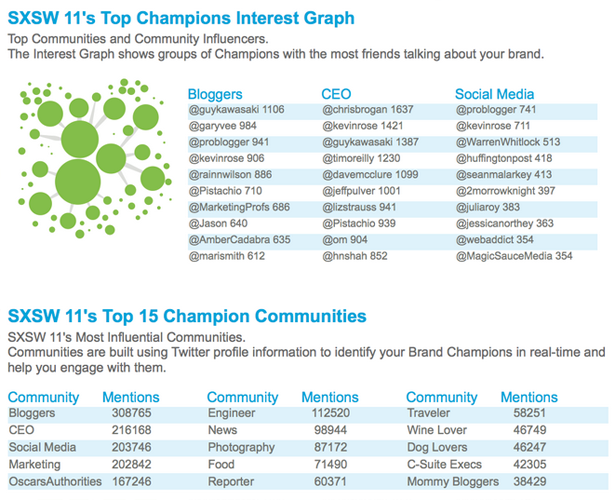 We identify champions as people who have the most followers tweeting a topic of interest. The same analysis can be done for champions within locations or communities. Community champions are those people who have the most number of friends within a particular community who are talking about a particular topic. We analyzed the list of all SXSW mentions to find the central influence connectors. Our goal was to discover how influencers discussing SXSW are connected to each other and which influencers are the most interconnected among the group. We checked every connection, frequency of conversation and engagement, and compared each person to everyone else in the list. This process was repeated for individuals in the global SXSW conversation, as well as the top communities to create a connections graph based on interest. Chris is connected to the highest number of people in the SXSW champion community who are also discussing SXSW topics. His messages reach the highest number of people who are interested in SXSW. We were interested in the content of Chris’ messages and did human sentiment analysis to gather further insights into his influence. Chris’ tweets mainly focus on awareness and capturing attention, reviewing emerging tech and startups, and big picture ideas. Chris is a positive tweeter — even his negative comments have a nice tone. Most of his interaction on Twitter is with other tech influencers, social media experts and marketers who also have high follower counts and close connections. Chris is a highly influential trust agent in social media. He’s a prolific tweeter, personal, approachable and actively engaged in conversations. Perhaps next year we’ll have a new reigning head of the Twitterverse. Here are a few other top champions we analyzed, including Liz Strauss, Robert Scoble, and Kevin Rose. Through human sentiment analysis we found no surprises — the traits that these champions have in common is that they retweet, share messages, respond in real-time and provide useful information on topics that are interesting to their followers. As a champion, Liz Strauss uses Twitter to both broadcast and engage in conversation. She often retweets others and is mostly neutral — though her tone is authoritative and her style is honest. She has a lot of mentions about public speaking and she posts recommendations to help others improve in this area of expertise. 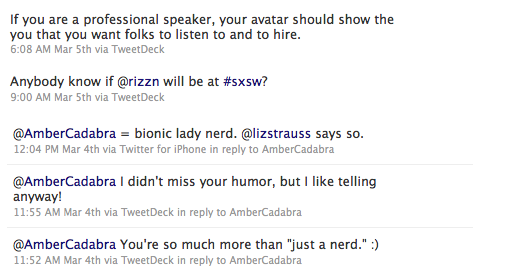 Her tweets about SXSW focus on finding ways to maximize her conference time — and she has frequent conversations with other Twitter champions. Robert Scoble is another veteran of SXSW, and it was no surprise that he’d be a top champion for the festivities. His 160,000+ followers are interested in technology news and social media. He mainly uses Twitter as a medium to engage with other geeks — he’s active in @replies and takes the time to respond to people, regardless of their influence or follower count. He also seems to be sharing more than broadcasting. He has a fondness for startups and promotes and reviews new products often. Scoble has been tweeting a lot about SXSW this year yet his relative influence ranking was at its max in 2009. 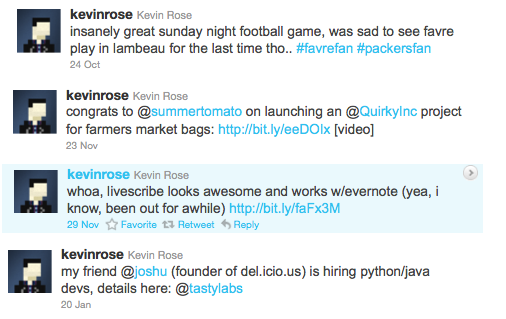 Kevin Rose has more than 1.2 million followers. Reviewing his tweets with human sentiment analysis, we found that his positivity is off the charts. He’s very conversational with the developer community and encouraging to people who are launching products/ideas. He loves to thank the community and to get involved. Though he rarely retweets, he replies to others frequently. He’s also a dedicated sports fan and tweets a lot about food. Rose will be a champion for many startups and will be at SXSW this year. from global mentions of SXSW and invite you to walk the interest graph to see the connections of additional champions and the communities they influence. The Brand Champion Scorecards and the Interest Graph are integrated with ReSearch.ly. Twitter has made it possible for people to openly make friends with others who have like-minded interests — regardless of first-degree personal connections. We follow people who are interested in the things we’re interested in, and in many ways we are what we tweet. We’d love to connect with you in Austin. Tweet me or @PriscillaScala or @Jen_Charlton and meet the team in person. We’ll be tweeting throughout and following all of our SXSW champions.